Sessions UK SL series of labellers are robust hard working units designed to operate in the harshest environments trouble free. Capable of dispensing label widths from 100mm to 230mm with high accuracy and high speed, the SL range of machines is ideal for automated lines. 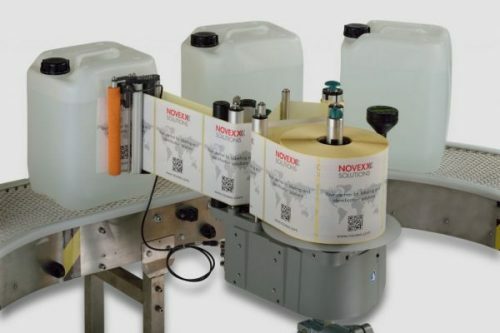 A full range of bolt on applicators for each machine type are available to label almost any product. Models: 104/204/206/256/306/309/272 high speed. The Spectrum range of labellers are compact and light machines designed to be mounted over or at the side of existing conveyors for top or side labelling. Easy to use wipe clean control panel ensures that the Spectrum can be used in many production environments. Capable of linear speeds up to 50mpm the machine will accurately label almost any type of flat product on conveyor lines. 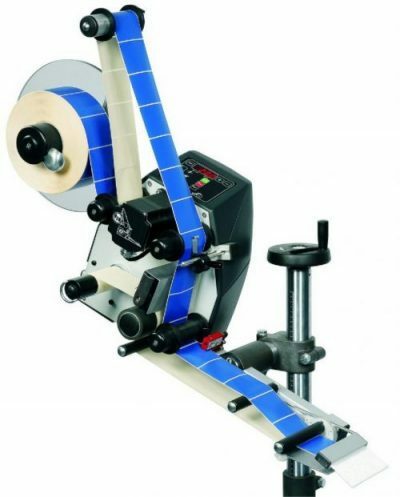 The machine is available for label widths up to 195mm.